Why do you pursue Dangerous Goods compliance? Take a moment before you answer, because the real reason may not be as obvious as you think. We’ve been asking hazmat professionals that question for years, and the answers have evolved. Today, nearly a quarter of companies in the DG supply chain pursue compliance because it’s a competitive advantage. As that attitude has evolved, we’ve also heard DG pros say they’d like to make compliance a competitive advantage, but they don’t know how to make the case with their companies’ management. That’s why we developed a new idea for the modern supply chain: total value of compliance. What is total value of compliance? 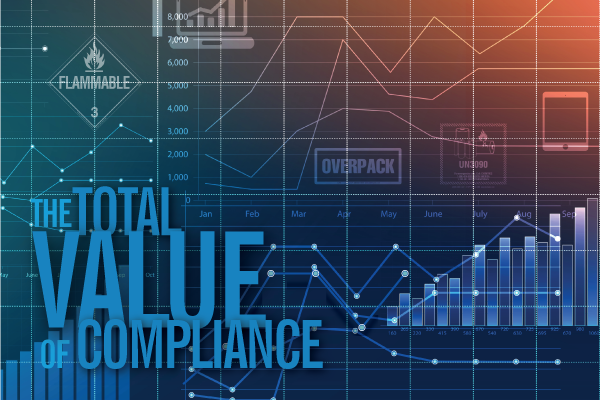 First and foremost, total value of compliance (TVC) is a new way of thinking about supply chain operations that views DG compliance as not just a cost of doing business, but also as a value-added component that contributes to profitability. The higher your TVC, the more profitable your operation can be. We’ll take a closer look at each of these in future posts, but here’s a quick overview. There’s no getting around it—you have to spend money to pursue Dangerous Goods compliance. But are you getting the most value out of those expenditures? If these costs are hidden in fractured views across all your sites, verticals, channels, products and accounting reports, it’s hard to account for them all, let alone optimize them. And then there’s the perpetual trade-off between price and productivity. Do you know if lower per-unit costs actually translate into more work? You can’t calculate your costs of compliance by simply adding up your compliance-related purchases—you have to consider all aspects of cost to make the best decisions for your bottom line. Another way to boost your TVC is by simply reducing the errors and gaps that result in non-compliance. Don’t forget the bad publicity from a hazmat-related incident, or the negative impact non-compliance can have on customer loyalty. If a small infraction delays a critical shipment in customs, for example, what’s the likelihood of your customer turning to a competitor for the next shipment? Say superior compliance helps Company A achieve a 99% on-time delivery rate. Company B might consider 95% pretty good, but compared to Company A, they’re dropping the ball once every 25 deliveries. Which company is more likely to gain new customers? Which company has a more potent brand? 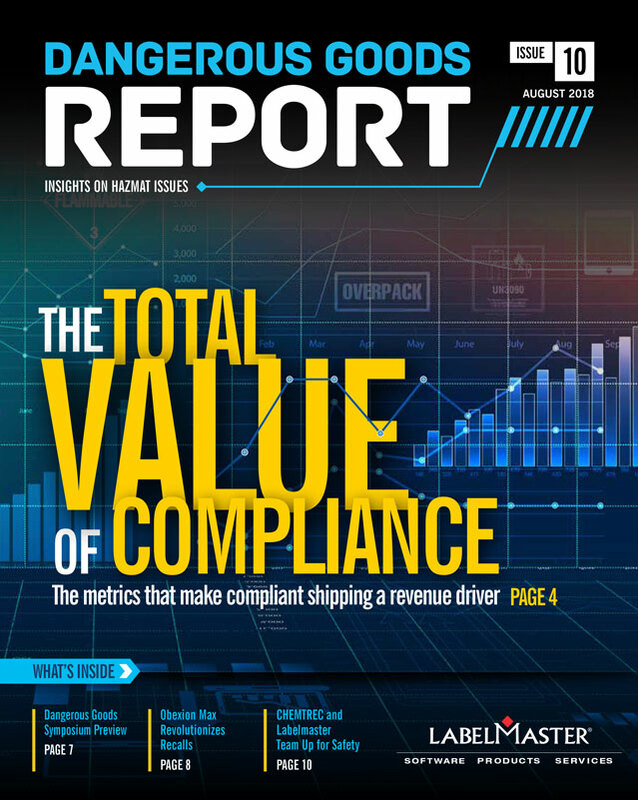 This facet of TVC—driving higher revenues with superior compliance—is where today’s most advanced shippers turn hazmat compliance into a competitive advantage. We’ll be writing more about TVC later this month and throughout 2019, with specific guidelines to help you improve your operation in all three aspects of the TVC framework. Meanwhile, for more detail about the TVC concept and how you can apply it, download the Total Value of Compliance Technical Brief today.